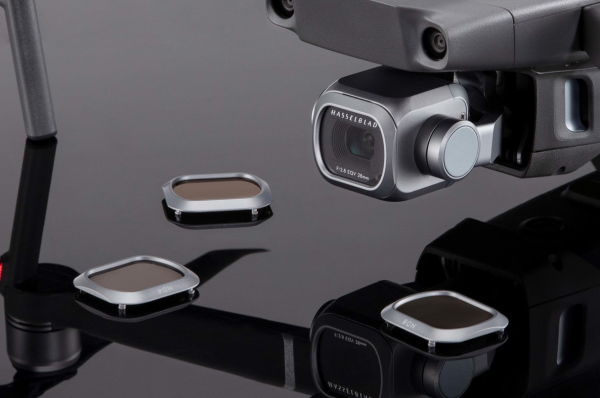 The Freewell DJI Mavic 2 Pro ND and ND/PL filters are one of the numerous solutions available for maintaining correct exposure and shutter speed when flying your drone. For this review, I am focusing on Freewell’s DJI Mavic 2 Pro Filters All Day 8 Pack. 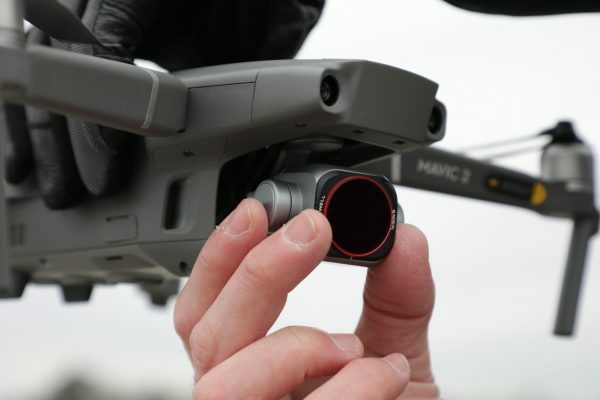 The DJI Mavic 2 Pro All Day Filter Kit from Freewell Gear is a collection of eight different filters that pretty much cover you for just about any shooting scenario. The pack contains ND (Neutral Density) filters, a CPL (Circular Polarizer Lens) to prevent unwanted reflections from naturally reflective surfaces outdoors, such as windows, water bodies, and snow, and hybrid ND/PL filters which give you the best of both worlds. Why do you need ND filters? 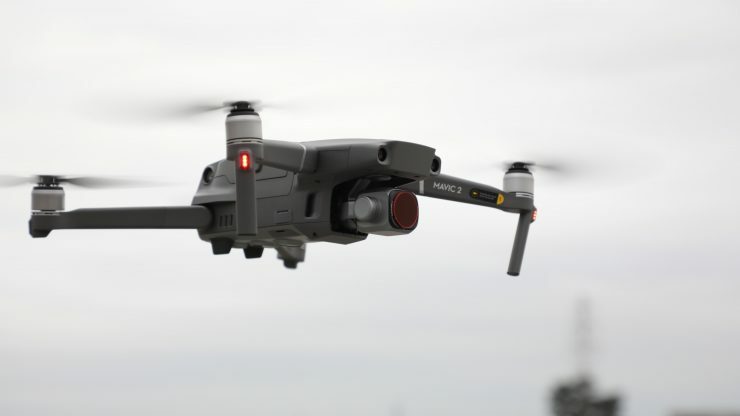 For professional shooters to get the most out of their DJI Mavic 2 Pro you really do need to use ND filters, otherwise, you have to run excessively high shutter speeds to achieve a correct exposure. High shutter speeds cause all sorts of problems, and you want to avoid them at all costs. On low bitrate, inter-frame codecs running high shutter speeds can strain the codec. Less motion blur means more fine details per frame, therefore, harder decisions for the codec on what to keep and what to crunch. By sticking to the 180-degree shutter rule you will be helping the codec out. The nice thing about the Mavic Pro 2 is you can adjust the f-stop, so you won’t have to use as much ND as you would on say the original Mavic Pro to achieve the correct exposure. 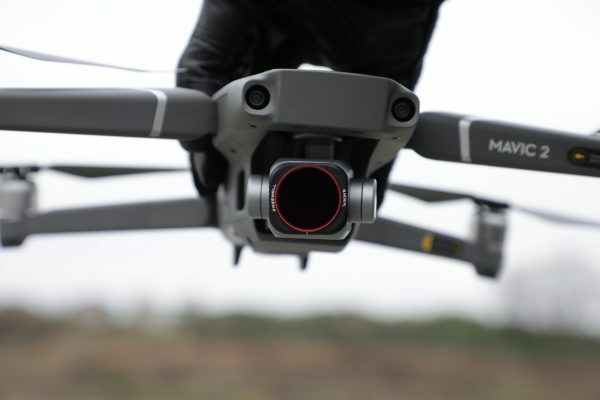 Mavic 2 Pro ND4 filter– The ND4 filter reduces your exposure by 2 f-stops. This filter is suitable when the weather is overcast or fairly cloudy. 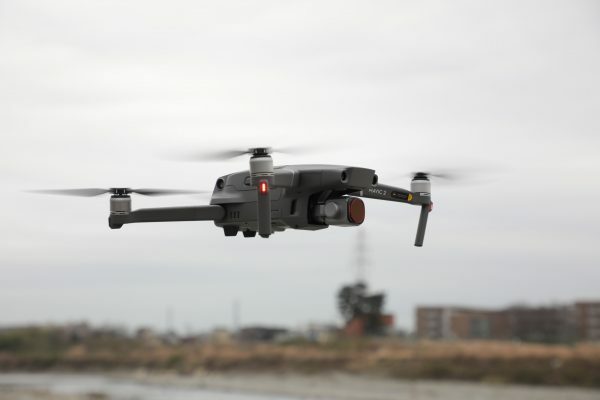 Mavic 2 Pro ND8 filter– The ND8 filter reduces your exposure by 3 f-stops. This filter is suitable in cloudy daylight conditions. Mavic 2 Pro ND16 filter– The ND16 filter reduces your exposure by 4 f-stops. This filter is suitable for capturing footage in normal daylight conditions. 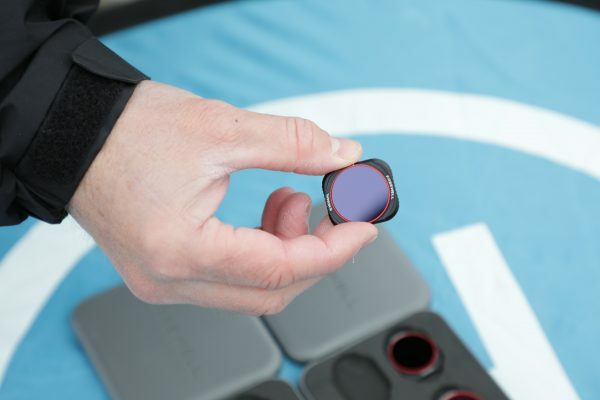 Mavic 2 Pro CPL (Circular Polarizer Lens) filter– The CPL filter is used for getting rid of glare from reflective surfaces, such as water, snow or even glass windows when flying outdoors. Mavic 2 Pro ND8/PL filter– The ND8/PL hybrid filter reduces your exposure by 3 f-stops. It also helps to prevent unwanted glare and it will saturate colors. Mavic 2 Pro ND16/PL filter– The ND16/PL hybrid filter reduces your exposure by 4 f-stops. It also helps to prevent unwanted glare and it will saturate colors. Mavic 2 Pro ND32/PL filter– The ND32/PL filter reduces your exposure by 5 f-stops. This is useful when shooting in very bright sunny conditions. It also helps to prevent unwanted glare and it will saturate colors. Mavic 2 Pro ND64/PL filter– The ND64/PL hybrid filter reduces your exposure by 6 f-stops. This is useful when shooting in very bright sunny conditions, such as sunrise and sunset. It also helps to prevent unwanted glare and it will saturate colors. The filters come in two hard cases, with the ND filters and the CPL in one, and the ND/PL filters in the other. Freewell makes their own filters in house and they claim that they are manufactured from the finest premium quality optical glass. The filters are coated with a total of 16 layers, 8 on each side, to ensure minimal re-reflection from within the lens filter. A super lightweight CNC ring houses the filter, and because the filters weigh around 3g (0.1 oz) there is no adverse effect on the gimbals performance. The Freewell filters feel solidly made and I don’t have any concerns over their build quality. You do have to be careful when handling them as it is very easy to get fingerprints on the glass. I found that it was a good idea to carry around a cleaning cloth and give both the filter and the front of the Mavic 2 Po’s lens a wipe every time I made a change. In a nice vote of confidence, the filters do come with a lifetime warranty. The red ring on the hybrid ND/PL filters can be rotated to change the polarizing effect. While this is a nice feature, you have to set it while you are on the ground when the Mavic Pro 2 is turned on to be able to see how much polarization you are dialling in. Once it’s in the sky you obviously can’t change it. 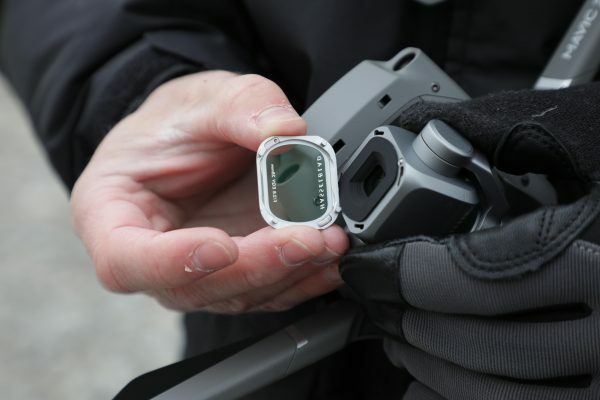 The filters use a Simple SNAP-ON system for attaching/detaching to the front lens of the DJI Mavic 2 Pro. The way you attach the filters is you need to remove the front clear filter that is already on the Mavic Pro 2’s camera. You do this by gently pushing down and rotating the filter until it comes off. To put the Freewell filters on you simply reverse the process by lining up the filter with the tabs and then rotating it gently while pushing down so it snaps into place. Now, this is sometimes easier said than done, and you really do need to take care when putting the filters on or taking them off. Taking the stock clear filter off the Mavic Pro 2 for the first time is not easy, and it almost feels like you are going to break something. My advice would be to remain patient and support the Mavic Pro 2’s camera firmly while removing or placing a filter on. My only gripe is that the writing on the filters is fairly tiny and it’s quite hard to see what ND strength you are using. Instead of making the brand name so big, they should have made the ND strength that size. I don’t really need to see a brand name on a tiny filter. I think what they should have done is color code the filters so a color represents the strength of the filter. Then all you would need to do is put labels in the box that showed the color and an ND strength. That way you would know exactly what filter you were using. Having ND filters is one thing, but if they aren’t well made from high quality glass then they can introduce fairly extreme color shifts, particularly when high strength ND is used. This is especially true when you combine both ND and PL properties into a single filter. I decided to do some tests to see how well the Freewell filters performed. To do this I shot a color chart, first with no ND/PL filters being used, and then with the various strengths of ND and ND/PL. What I wanted to see is if there were any color shifts or loss of sharpness when using the filters. Even though no one is actually going to shoot a color chart indoors with a drone, it is the only way to conduct a controlled test for the filters. The standard ND filters performed very well, even at ND 16. All the strengths maintained consistent neutrality and there were no color shifts that I could see. As far as sharpness goes, there is a slight decrease in sharpness, especially as you start using stronger strengths of ND. 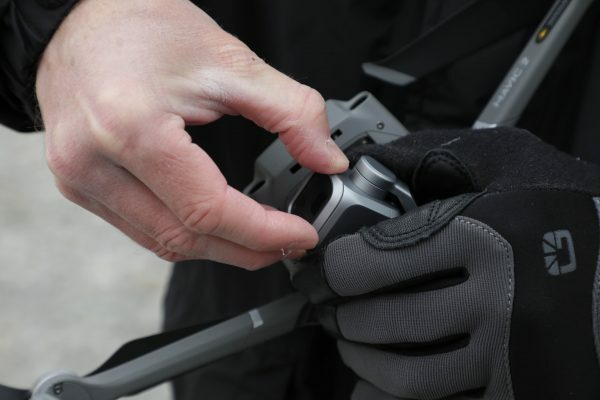 The sharpness is probably not going to be noticeable with most drone shots that you do. I had the drone quite close to the color checker chart, and you are unlikely to be shooting something that close when you out and about flying. The ND/PL filters did have a slight push towards magenta, this is only really noticeable when using the ND/PL 64 strength, but it is fairly minimal. Above you can see the slight magenta push. On the left is with no ND/PL filter being used, and on the right is the Freewell ND/PL 64. 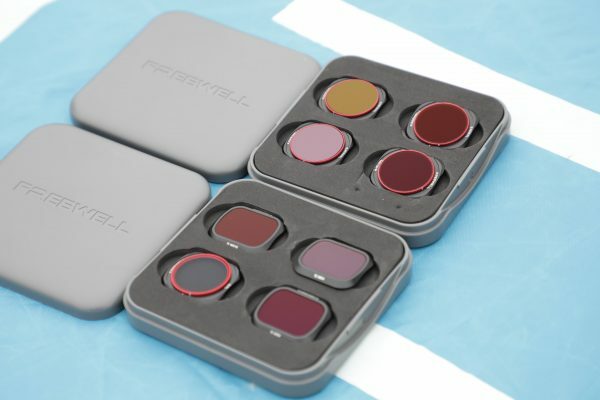 Unfortunately, I haven’t reviewed any other ND or ND/PL filters for the DJI Mavic 2 Pro so I have nothing to compare the Freewell filters too. The filters do suffer from a slight loss of sharpness, but this is only really noticeable at higher ND strengths. If you use the ND/PL 8 and ND/PL 16, you probably won’t be able to perceive any real-world difference. 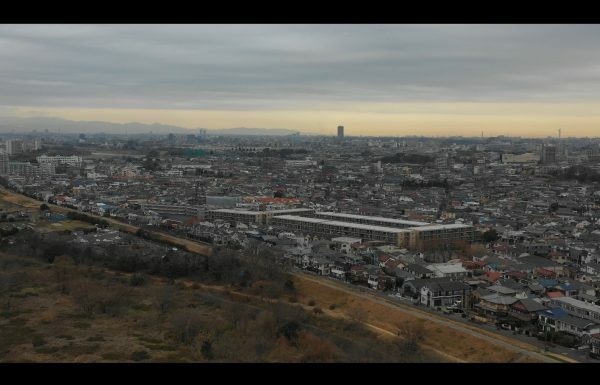 Now, nobody actually shoots color charts with a drone for a living so I also tested the filters in real-world conditions and they certainly make a big difference to the results you can obtain when using the DJI Mavic 2 Pro. Not only do they allow you to keep the shutter speed down, but they also do a very good job of minimizing and creating more pleasant flare. Sticking to the 180-degree shutter rule (or just over it) certainly does make your drone vision look so much better. The colors remained nice and accurate, but you will get a slight color shift if you are using the higher strength ND/PL64 filter. There was also no perceivable loss of sharpness that I could see. 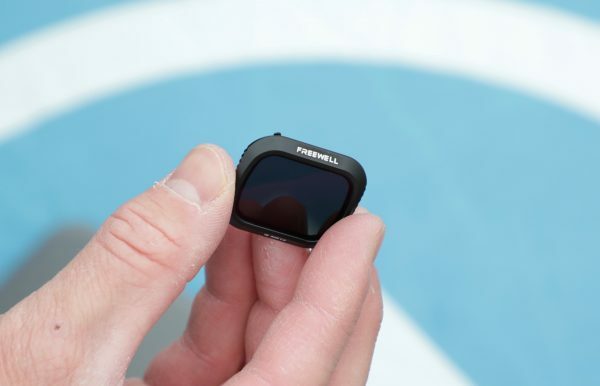 The ND/PL filters also help the OSMO Pocket with bright reflections and glare, and it’s nice that Freewell has made the filter rotatable so you can adjust the polarizing effect. There are quite a few ND filter options on the market for your Mavic Pro 2. I won’t attempt to list them all, but here are a few. 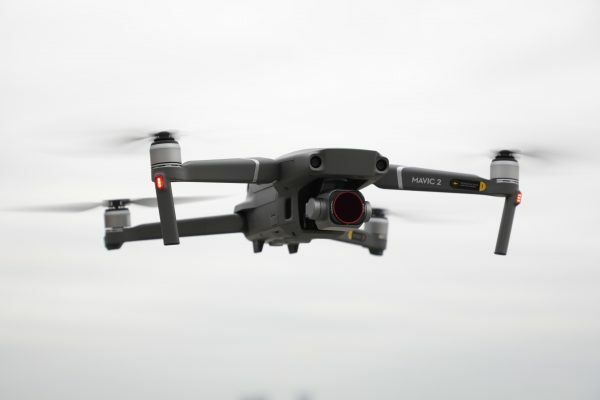 Direct competition comes from DJI’s own Mavic 2 Pro ND Filters Set ($99 USD), but that only includes ND4, ND8, ND16, and ND32 filters. 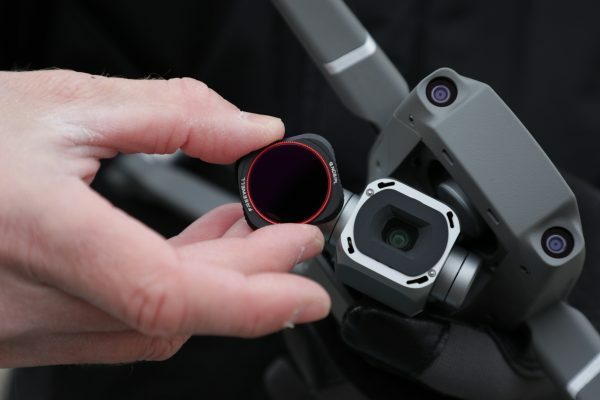 Another option is the PolarPro DJI Mavic 2 Pro Standard Series filters ($129.99 USD) which consist of an ND8, ND16, ND32, ND8/PL, ND16/PL, ND32/PL, and a stock UV filter. PGYTECH also makes ND and ND/PL filters for the Mavic 2 Pro, but they only seem to sell individual filters and not a pack. The Freewell’s DJI Mavic 2 Pro Filters All Day 8 Pack retails for $129.99 USD. This is a very good price considering DJI is charging $99 USD for just four filters, and PolarPro is charging $129.99 USD for 6 filters. The Freewell DJI Mavic 2 Pro Filters All Day 8 Pack is a pretty good solution if you are looking for ND and ND/PL filters. The regular ND filters are extremely neutral and you aren’t going to see any color casts when using them. The ND/PL filters do have a slight push towards magenta but it’s not really enough to cause any real concern., and it’s only noticeable when using the ND/PL64. The Mavic 2 Pro has a pretty decent codec and bitrate for a drone, so you won’t have any problem dialling out that slight bit of magenta in post. I was reasonably impressed with the Freewell filters, and they seem to strike a good balance between price and performance.